You don’t need to be on you own with Treasured Time here to support you! 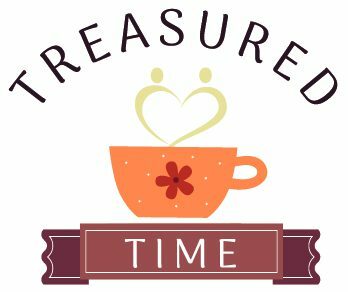 Treasured Time’s purpose is to befriend people at home, providing companionship and support to individuals who may not have a close friends or family network to rely on at the time they would most prefer it. It’s good for everyone’s wellbeing to have face to face contact with somebody who takes an interest in how you are feeling. Spending quality one to one time with someone relieves loneliness, boredom and isolation, and will boost your morale. Getting out and about is good for our physical health, and it’s always nicer when it’s a shared experience – whether shopping or going for a walk to appreciate the outdoor environment. Having support at home can take away some of the stress that might be causing you a concern. Please see SERVICES page for more information. Visits can be organized to suit you, whether regular or not! This may even be on a short term basis, i.e. convalescing following illness or hospital admission, when extra help is required to get you back on your feet. Individuals that live alone, who may need that bit of extra companionship or support to fulfil what they would like to do on a day to day basis. Carers so that they can spend time with a companion themselves, or have time to go out and about whist their loved one is being supported at home. Relatives who have a busy working life, so that they know someone is there for their loved one when they can’t be due to work or holiday commitments. If you wish to find our more about my services or make a booking, please fill in the contact sheet below. I look forward to hearing from you. Debbie has been a companion to my mother for over 15 months. My mother suffers with dementia. Debbie is very reliable and has a kind compassionate and caring personality. She is always very cheerful and has a wonderful sense of humour – even in challenging circumstances. My mother looks forward to every visit and is always asking me – ‘is Debbie coming today?’ Debbie has boosted my mothers confidence and prevented a decline in her wellbeing. I have no hesitation in recommending Debbie’s service. Debbie is a warm, sensitive carer with a good sense of humour. Always positive and cheerful she offers a great reliable service that supports my husbands independence, enabling him to be safe outdoors and in the fresh air.